Deep tissue massage relaxes muscles, lengthens tissues and works out toxicity in the body. Alone it only creates temporary results. Chiropractic and massage enhance each other. Our massage therapists focus on therapeutic massage for you rather than just relaxation. Add “Beautiful Baby Acupuncture Points” for $15! Tradition has it that the “beautiful baby point”, should be needled at the end of the third and sixth months to ensure a happy, healthy, and of course, gorgeous baby! *This massage may qualify for submission to your insurance. 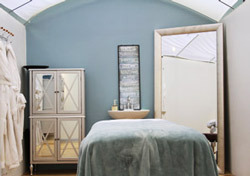 Massage of the Month Enjoy a different invigorating or relaxing massage every month! Join our ongoing subscription to monthly massage and body treatments or purchase a quarter or even a year’s worth of massage for your loved one! Continue your gym and sauna access for only $15/month! Personalized motivation, diet plans and accountability continues for only $50/month. Continued unlimited Suna sessions only $100/month!